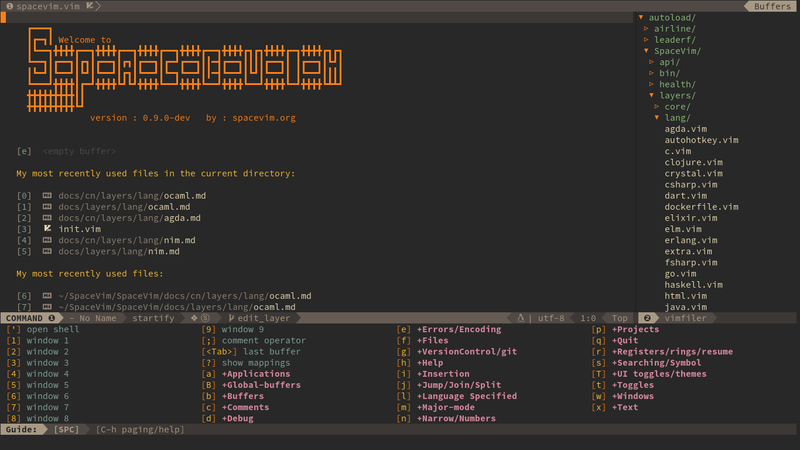 guifont = "SauceCodePro Nerd Font Mono:h11"
SpaceVim provides five kinds of fuzzy finder, each of them is configured in a layer(unite, denite, leaderf, ctrlp and fzf layer). These layers have the same key bindings and features. But they need different dependencies. User only need to load one of these layers, then will be able to get these features. But in current version of SpaceVim, leaderf/ctrlp and fzf layer has not be finished. The above key bindings only are part of fuzzy finder layers, please read the layer’s documentation. SPC s w g Get Google suggestions in Vim. Opens Google results in Browser. SpaceVim supports highlighting of the current symbol on demand and add a transient state to easily navigate and rename these symbol. 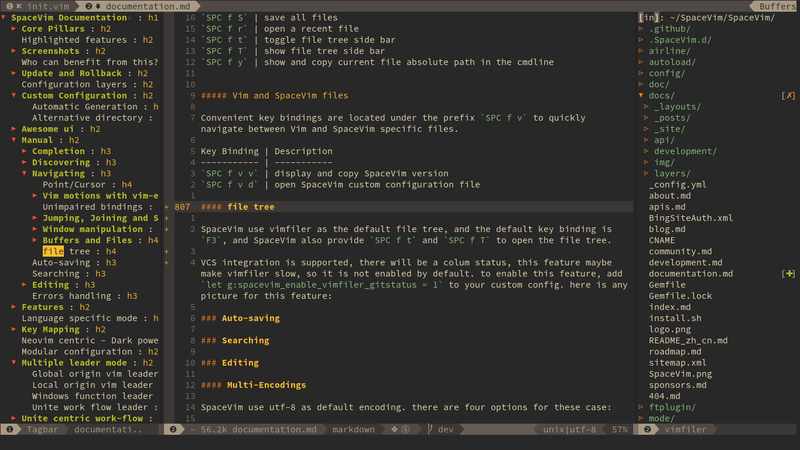 SpaceVim uses a powerful iedit mode to quick edit multiple occurrences of a symbol or selection. 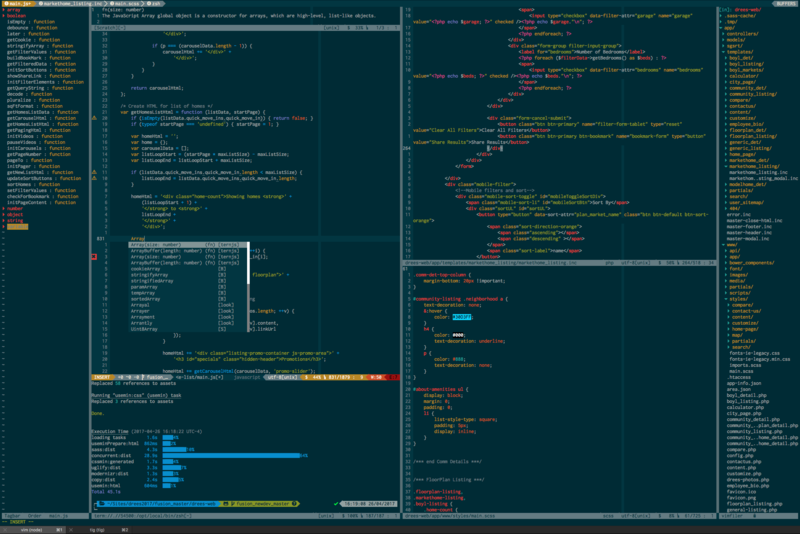 To customize your editorconfig experience, read the editorconfig-vim package’s documentation.